Thessaloniki is a beautiful port city in Greece. With a population of over 315 000, it is the second-largest destination in the country. Thessaloniki offers you a vibrant culture and a wealth of history. The top attractions of this city include the White Tower of Thessaloniki, the Museum of Byzantine Culture, and Aristotelous Square. Seize the chance to explore this picturesque destination, because cheap flights to Thessaloniki are now available for a limited time! Thessaloniki is the home of Thessaloniki Airport (SKG), which is a 25-minute drive from the city centre. There are plenty of museums and historic architecture to discover in Thessaloniki. Visit locations like the Rotunda of Galerius, the Thessaloniki Cathedral and the Museum of Byzantine Culture. You are guaranteed breath-taking river views, especially during sunrise and sunset. Enjoy these sights either from land or out on the water with a rental boat. Thessaloniki has one of the largest numbers of restaurants, bars and cafés in Europe! Have a delicious pitogyro or a bourdeto at one of these establishments, some even with outdoor seating. June to August (summer) is the most popular time to visit Thessaloniki, due to temperatures that reach the low 30s and rainfall reaching around 20 mm. This season brings the most tourists, meaning crowded attractions, higher hotel rates and less availability. Skip all these inconveniences by visiting from mid- to late-spring (April – May) and early- to mid-autumn (September – October). The temperatures are warm around these times while the rainfall volumes only increase to around 50 mm. 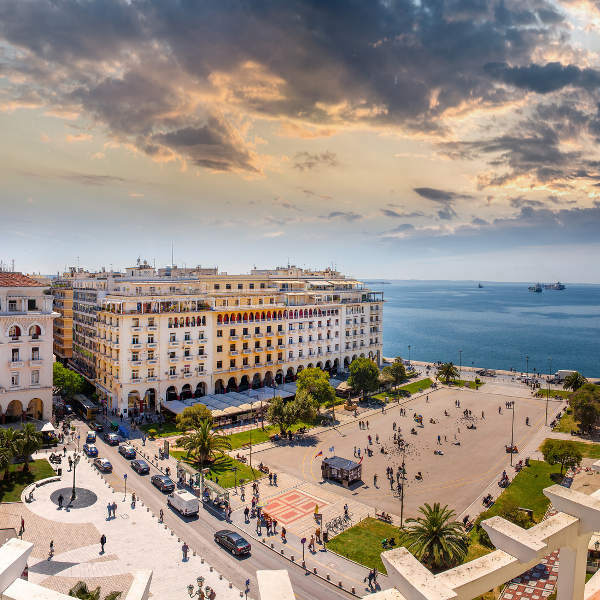 The port city of Thessaloniki gives you one more reason to visit the gorgeous country of Greece! 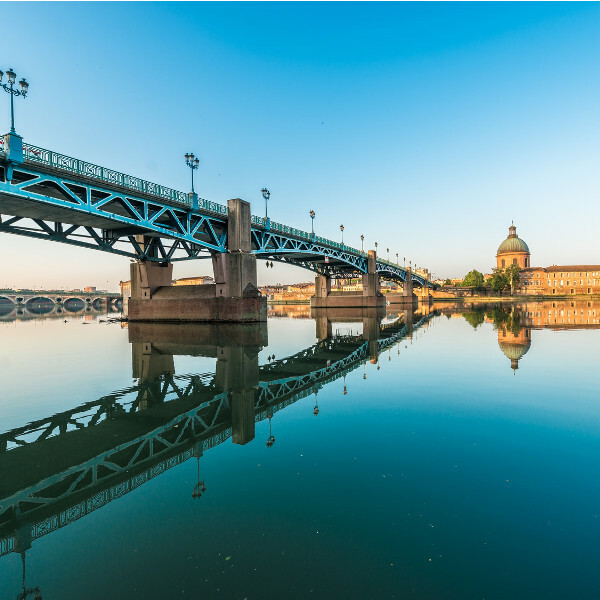 This European destination includes a buzzing nightlife, exciting shopping opportunities, fine dining and a plethora of cultural events. Explore a charming scene that features cobbled streets, the Eptapyrgio Fortress, Byzantine Citadel, Bey Hamam (a Turkish bathhouse) and Ottoman Poorhouse. Alternatively, peruse all the fresh meats, vegetables and fruits, as well as shoes, clothes, herbs and spices at the central market. You’ll be pleased to know that this Greek city offers a stunning selection of cafés and bars, arguably more than any other European destination! Discover this incredible combination of historic and modern attractions in the beautiful city of Thessaloniki. 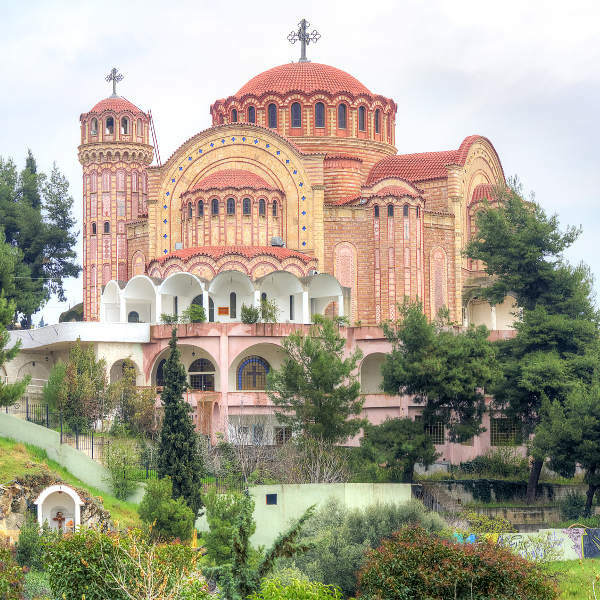 Compare several airlines, and book your cheap flights to Thessaloniki online at Travelstart! While Thessaloniki is one of the safest cities in Greece, keep track of your valuables and make sure they are in a secure spot and out of sight when you’re in public. Make sure you get all the routine vaccinations before your trip to Thessaloniki. You may need additional vaccines and medicines for other diseases, depending on where you go and what you do in the city. These diseases include hepatitis A, hepatitis B, and rabies.